TB is an infectious disease primarily involving lungs and is endemic in developing countries. China has the world’s second largest TB prevalence, comprising around 9% of the world total according to the 2018 World Health Organization (WHO) TB report . Patients with rheumatic diseases at high risk of TB infection, due to the immune dysregulation and the adverse effects of immunosuppressive agents [18–20]. M.tuberculosis culture, the gold standard of TB diagnosis usually takes 2–4 weeks. Therefore, a rapid diagnostic method of TB remains challenging. TST is a valuable screening test for TB infection , but the diagnostic value of TST in BD patients is compromised by the widely usage of the BCG vaccine in Chinese population and the immune dysfunction in BD patients . 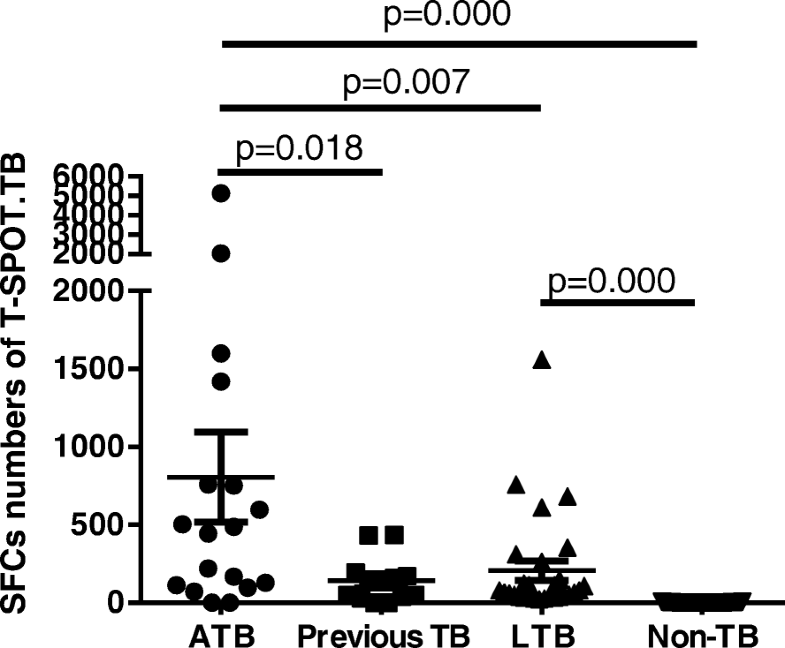 LTB infection is defined as the sustained immune response to Mycobacterium tuberculosis antigens with no evidence of clinically ATB. Given the risk of LTB infection reactivation increases in patients receiving immunosuppressive therapy or with immune dysfunction , it is important to identify LTB infection in BD patients. However, currently, there is no gold standard test for diagnosing LTB infection available. Several studies [31–33] suggested that IGRAs, including QuantiFERON-TB Gold In-Tube (QFT-GIT) and T-SPOT.TB, and TST, are all acceptable for screening LTB infection. 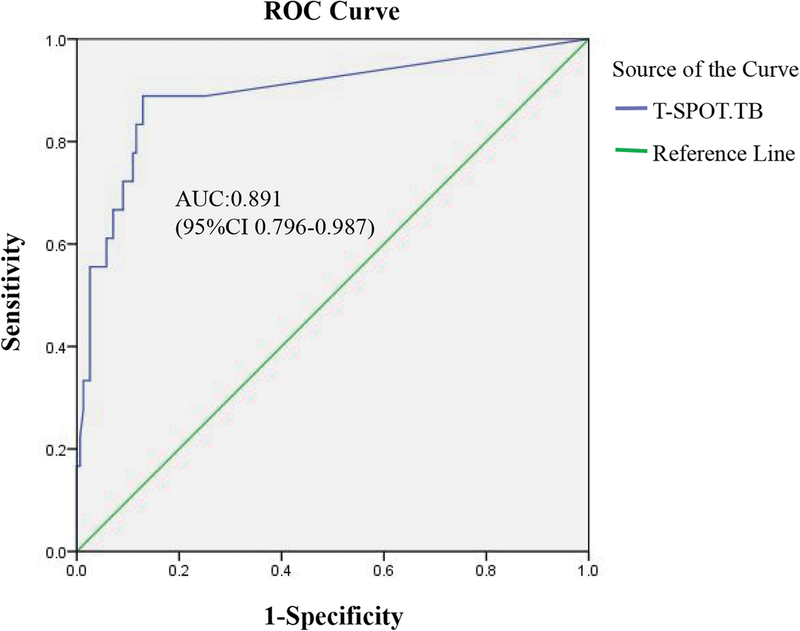 In immune-mediated inflammatory diseases, the sensitivity and specificity of IRGAs in the diagnosis of LTB infection is higher than those in TST [34–36]. Also, T-SPOT.TB has been reported with higher sensitivity in detecting LTB infection than QFT-GIT and TST [32, 37], and Vassilopoulos et al. reported that the positive rates of QFT-GIT and T-SPOT.TB were 21 and 25%, respectively  . In our study, patients who had positive T -SPOT.TB but did not have ATB or history of TB infection were considered as LTB infection. The percentage of LTB infection in BD patients in our study was similar to that in other studies [32, 38]. A notable concern of IGRA in BD patients is the false positive or false negative rates of the IGRA test. Firstly, immunosuppressive agents or glucocorticoid might suppress T cell response to TB antigens and cause false negative IGRA test in BD patients. Nevertheless, a meta-analysis of IGRA in rheumatic patients showed that neither steroid nor disease-modifying anti-rheumatic drugs (DMARDs) significantly affect positive IGRA results . Secondly, in BD patients with high disease activity, the systemic inflammation in BD potentially promotes T cell response via high-level proinflammatory cytokines. However, T cell response detected in IGRA is derived from the T cells with specific TCR recognizing tuberculosis-specific peptide, and systemic inflammation would not promote antigen-specific T cell response in the absence of specific peptide. Consistently, the SFCs of the negative control was less than 10 spots in our patients, which was comparable to those in healthy controls. Therefore, positive IGRA is strongly suggestive for latent TB in BD patients.